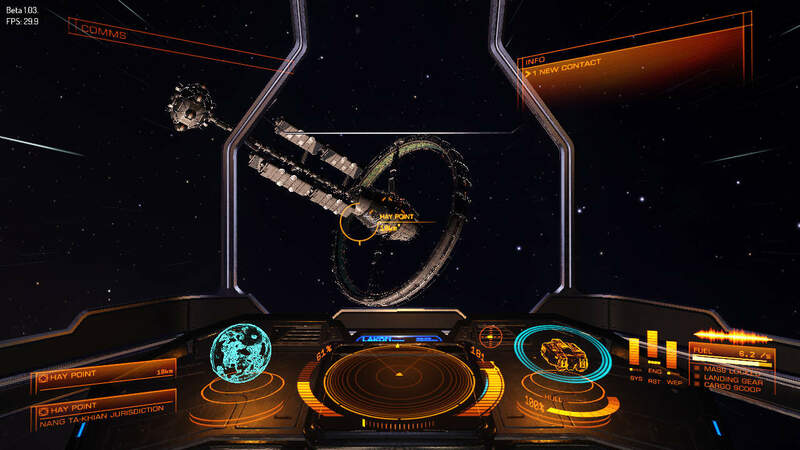 There are multiple station types in Elite Dangerous - some are general purpose stations offering all sorts of services, others are limited in their purpose (e.g. a refuelling outpost). 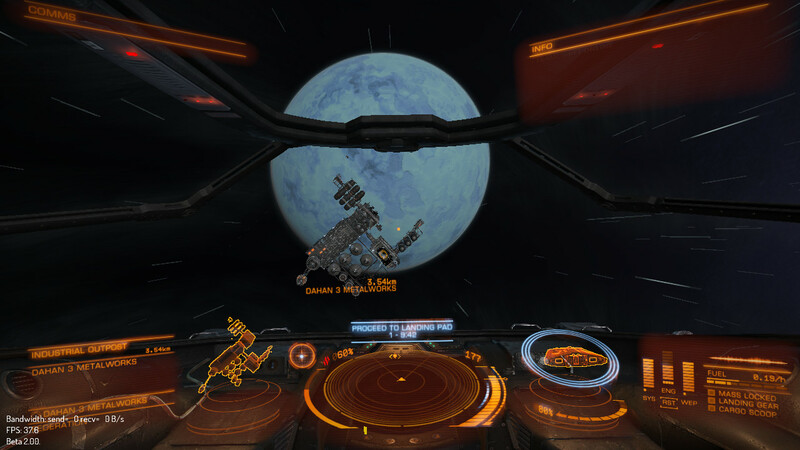 Different station types in Elite Dangerous have different types of docking pad: Small, Medium & Large. Your ship will require a certain size pad depending on how large it is, and obviously if your ship is too big it wont fit on a small pad! S,M,L Orbis Stations Feature large circular habitation rings around a central core. S,M,L Coriolis Station The classic Elite Dangerous station (and the one represented by the diagram in station menus) this is a common sight in most systems. S,M,L O'Neill Cylinder Station Similar to the Orbis type but without the large outer ring. The O'Neill Cylinder design features plus living quarters on the inside of the central core. 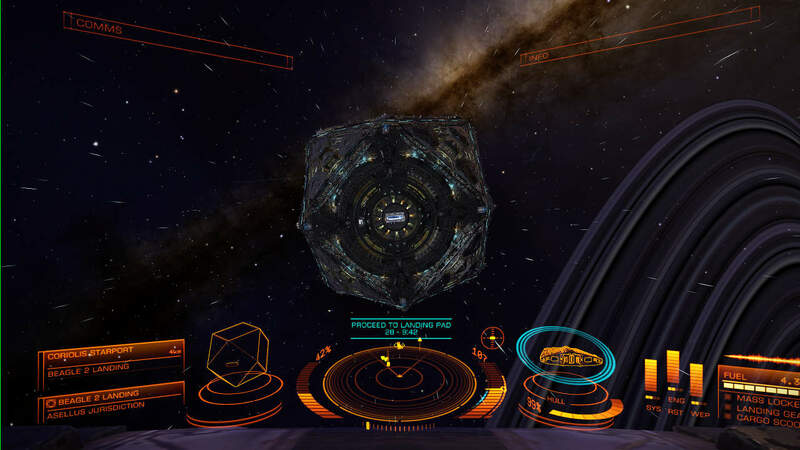 Varies Outposts Small outposts of no particular design found away from the major metropolises, the outputs in Elite Dangerous have a small number of external docking pads (sometimes without all sizes of pads) where your docked ship is exposed to danger. It is not unusual for the small outposts to not have a commodities market (so it is not possible to trade). 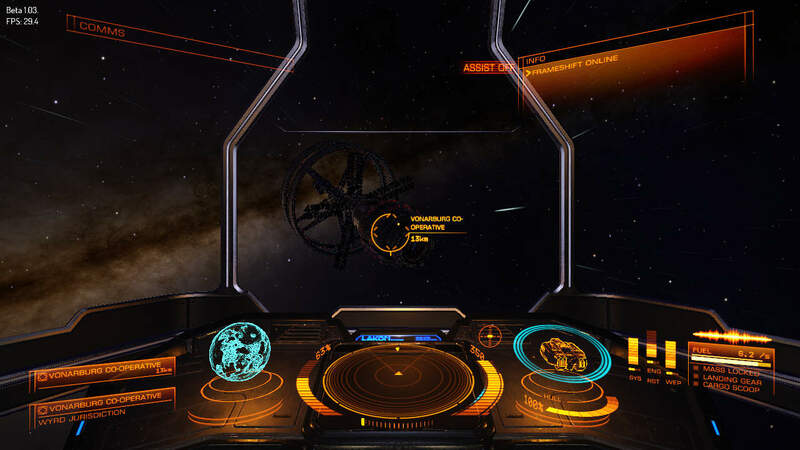 The stations in Elite Dangerous always rotates anti-clockwise when you are facing the airlock. This means that you can look at the rotation of the station to work out where the entrance should be. If you do these, you will have committed a crime and can expect a suitable response from the station. If you are in the no-fire zone and shoot at a wanted criminal (and don't hit anything else) you wont commit a crime.